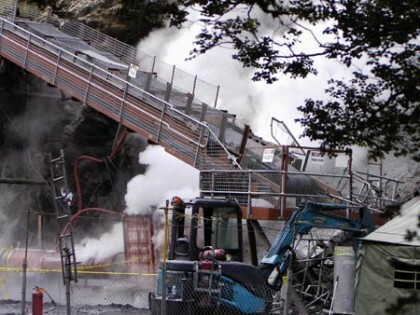 These images all show the Gorniczy Agregat Gasniczy (GAG) jet inertisation unit, in operation at the Pike River mine this morning, Thursday 2 December. 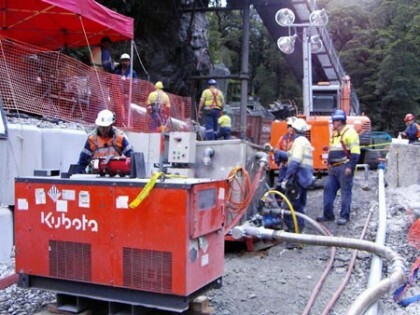 Above: The GAG engine being operated at the Piker River mine site. 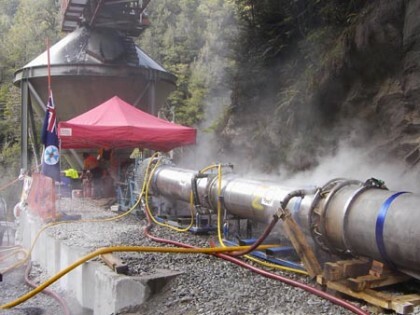 Steam around the portal into the Pike River mine as the GAG engine is operating. A view of the GAG engine extending out from the mine portal.